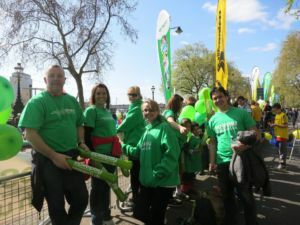 We’re looking for cheering teams at our running events around the UK! If you’re able to help out in this way, take a look at our sporting events pages to see what is in your area and we would love to hear from you. Email jo@eruk.org.uk or call 020 3096 7887 with the run that you are closest too we will give you the cheering pack for the event, with details of the times and location. “As a fundraiser myself, I know it is hard work and that you put a lot of yourself into it. I felt the least I could do was show my support to fellow fundraisers and help to show that people are aware of their achievements are proud of what they are doing. It was a fantastic day being with the ERUK staff and other supporters to cheer on the runners and meeting some of the runners after the event to learn why they support the charity. I would highly recommend it!” Lianne Alton. “I could only do a 10K once, an 18K once, climb Kilimanjaro at 67 once and ask my friends for sponsorship once. So I needed to find another way to raise funds. I now take a collecting bucket to the local garden centre 4 times a year and, by doing so, raise at least £700, equivalent to a sponsored event, every year. 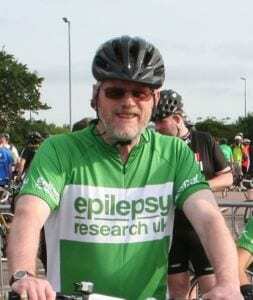 I also volunteer to be a marshal for the Great Yorkshire Bike Ride for which ERUK get a share of the total sponsorship monies raised by the event. When time permits I also attend local events to give a cheer to the people who are raising sponsorship money for ERUK; I know, from experience, that this is always appreciated “. Each year we need volunteers to help in charity Christmas card shops in locations such as Bath, Durham, Ealing, Kingston-upon-Thames, central London, Stamford and York. If you could spare one morning or afternoon weekly (or fortnightly) to help from early October through to mid December, please contact Shona Scott (tel 020 3096 7887, email shona@eruk.org.uk) for more information.